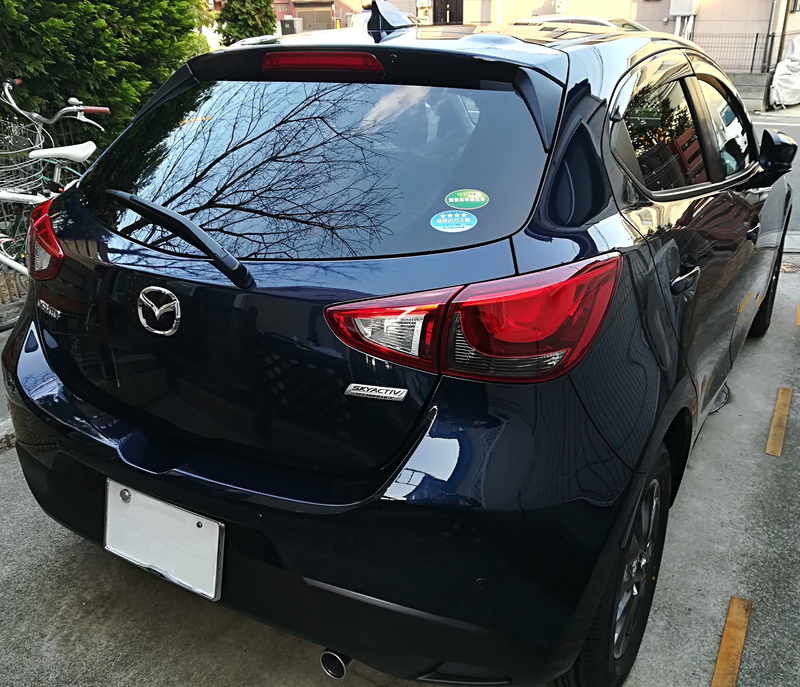 First I was going to ask some professionals to apply coating, but I was looking for good products in the Internet to save money and I found Pika Pika Rain PREMIUM Ceramic Coating. I read other customers reviews and bought finally. 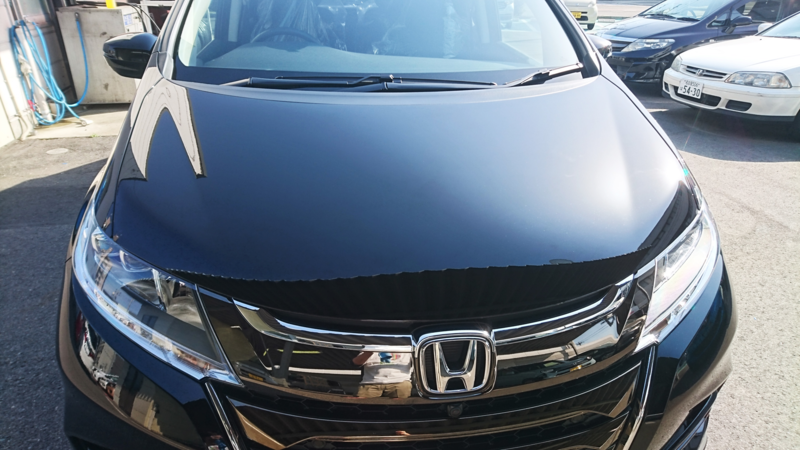 I applied it at the car dealer on the day before delivery. First I was worried whether an armature can do it well, but when I started to the application, it was easier than I thought, so I could do it without stress. 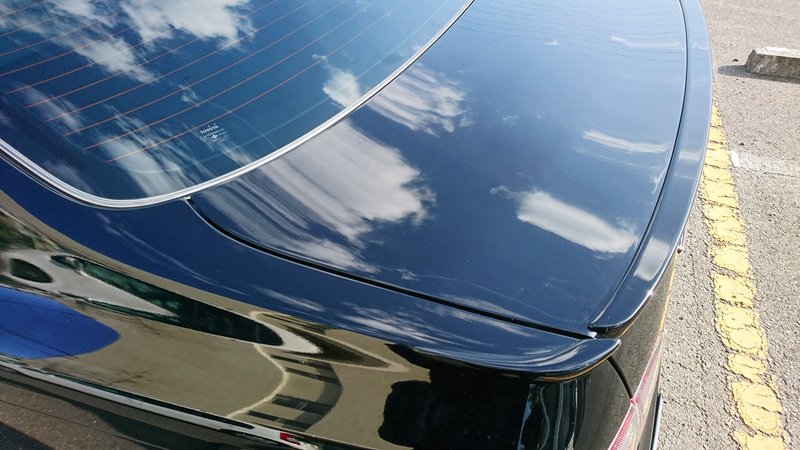 Also I was impressed by the deep gloss. 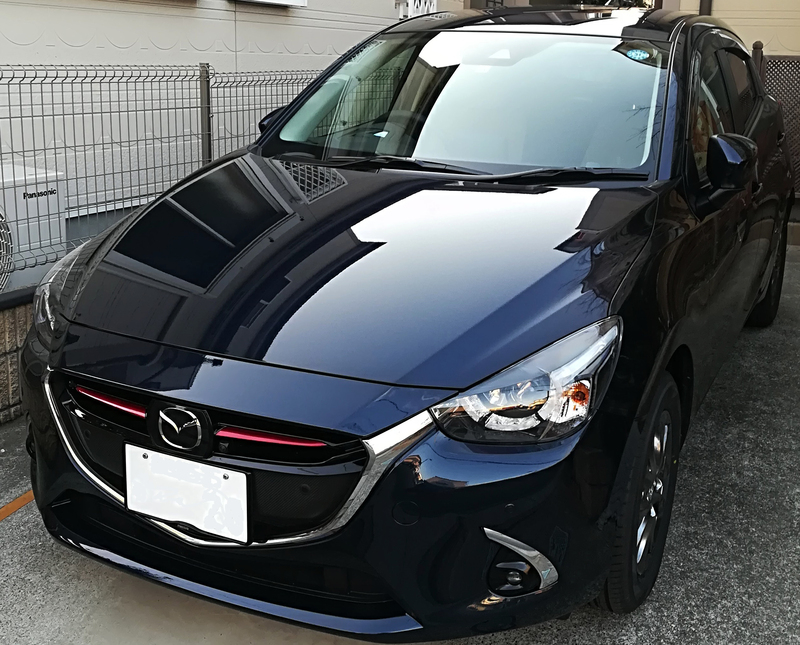 I kept my car for 12 hours at the car dealer’s pit not to get well. 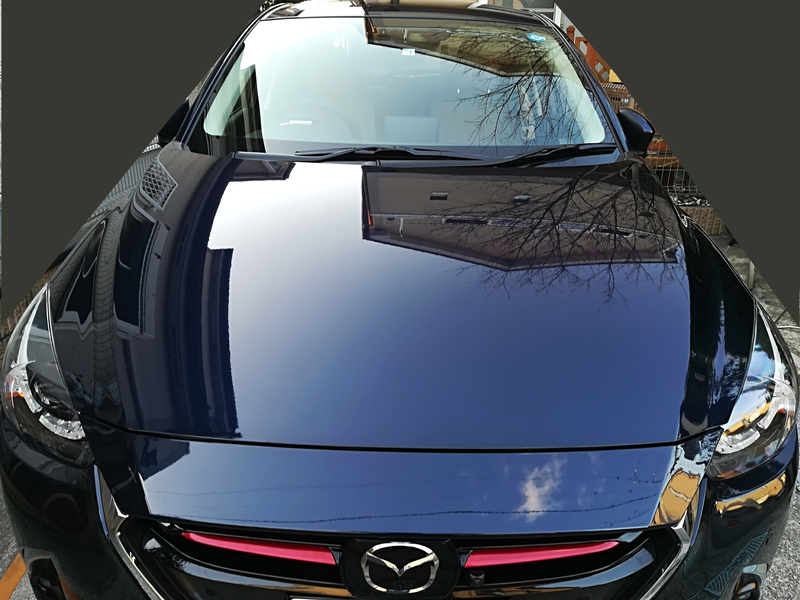 I found some foggy finishing on the car body due to my methodical personality, but I polished with compound and I applied rest of the liquid to there, so it was OK. Some bus adhered on door mirror after driving, but these could be washed off easily. The best thing of all, the water-sliding effect was amazing which makes me so fresh. I’m going to maintenance with Nano Pika Pika Rain Type-K from now on. 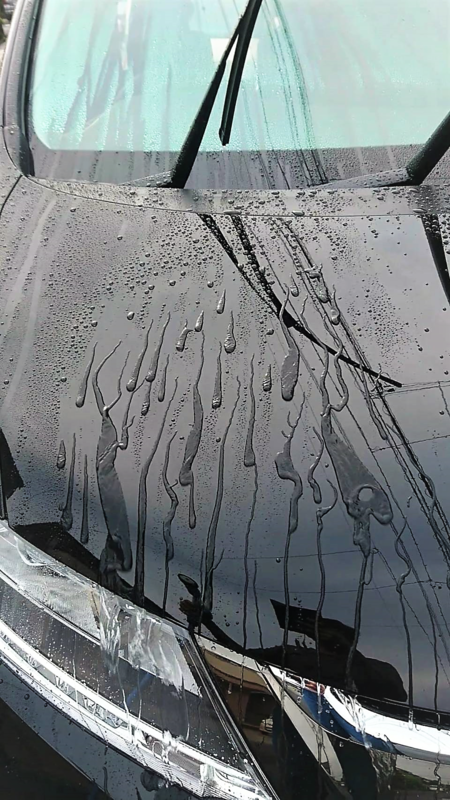 because I wanted to try water-sliding effect (hydrophobic effect is difficult to remove stains). 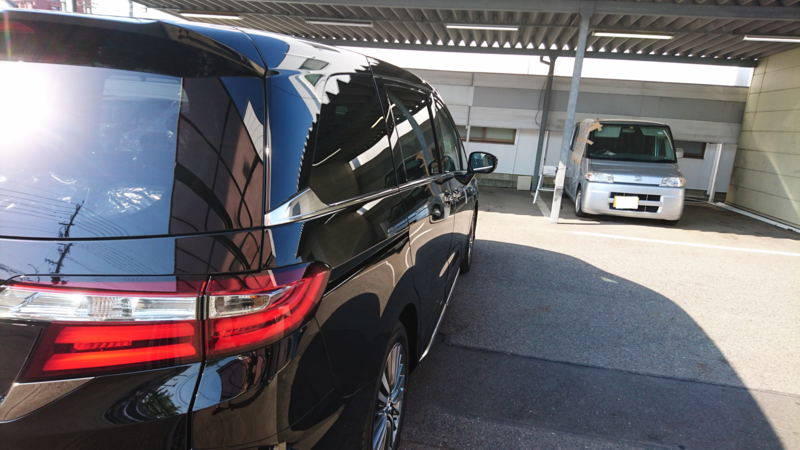 I applied it during the inspection at the maintenance workshop. 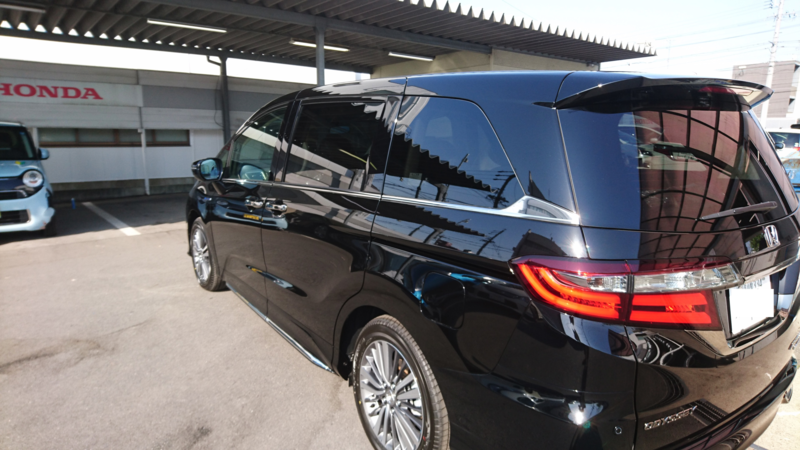 but the gloss and covering with fine scratches are excellent. I’m going to apply the remained liquid to my NOTE. 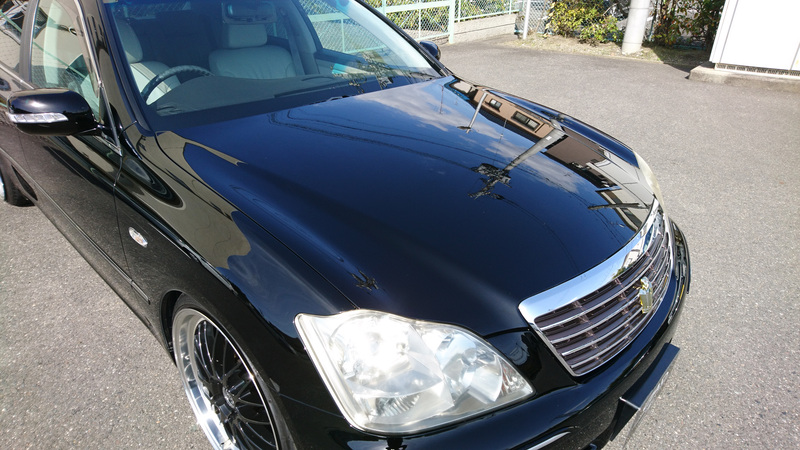 My car was 11 years old which finished the vehicle inspection, so I was thinking about car coating. 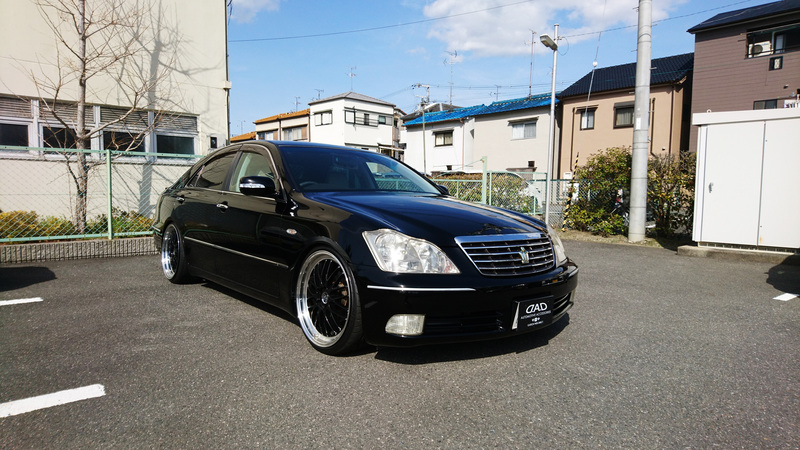 The last time it was applied the hydrophilic coating which was around 100,000 JPY by the car detailer 4 years ago. 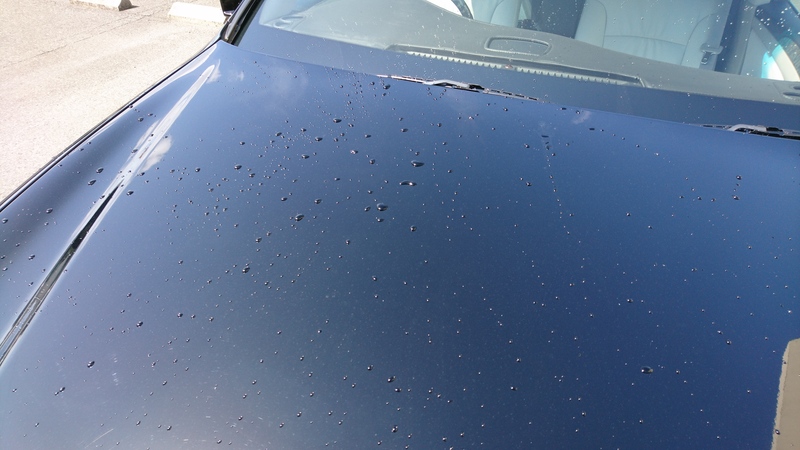 Now, as you can see the photos, there were many scratches, water spots. 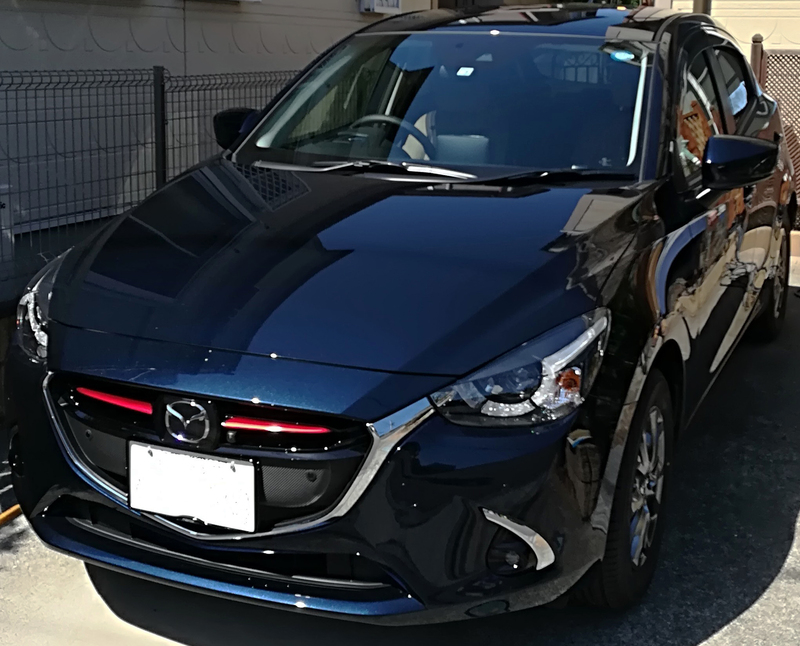 At that time I knew Pika Pika Rain PREMIUM Ceramic Coating on the Internet and it has many good reviews, so I bought it finally. First, I was worried about application by myself, but when I stated to do, it was easy because the liquid spread well. 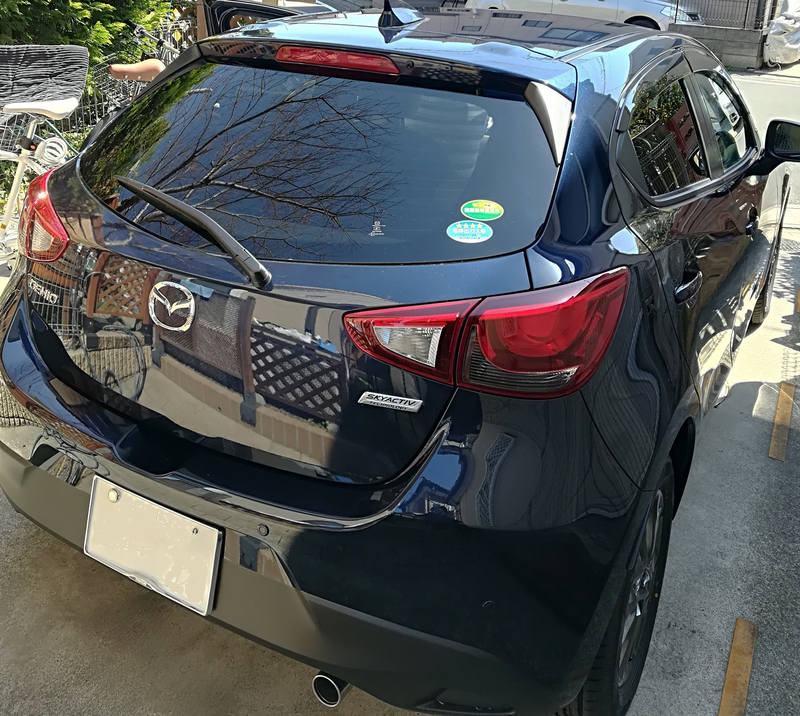 Scratches and water spots were covered with Pika Pika Rain PREMIUM Ceramic Coating and my car got shine. 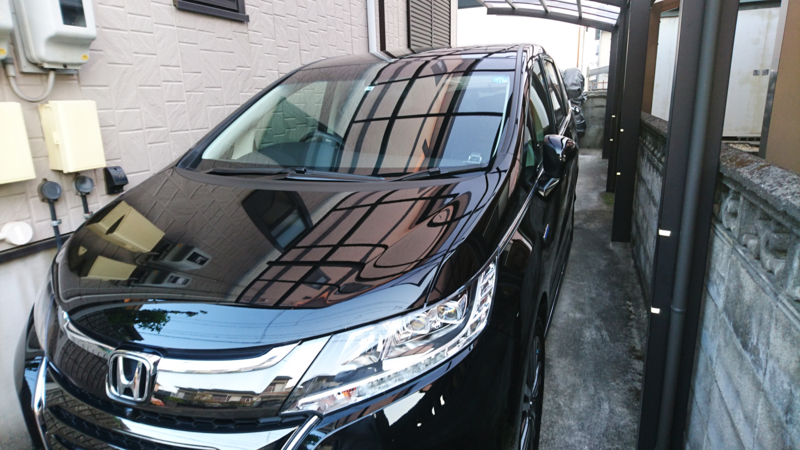 When I looked the car after application, the car body became more glossy than I expected like brand new. 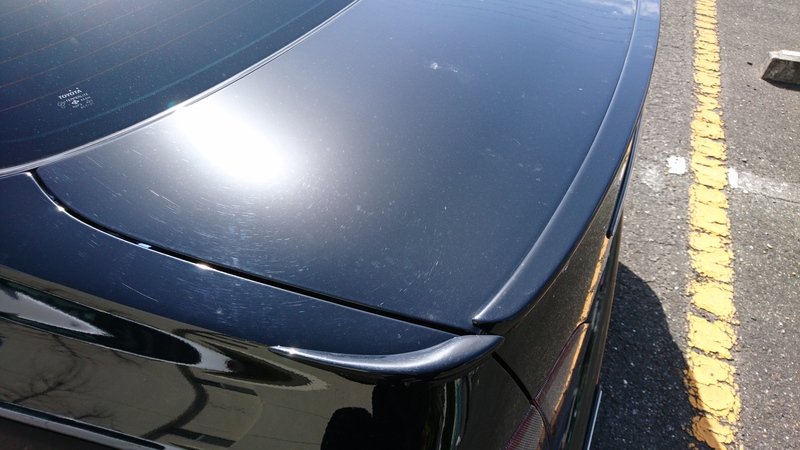 When I splashed the water to the car body, it was sliding on the car body. 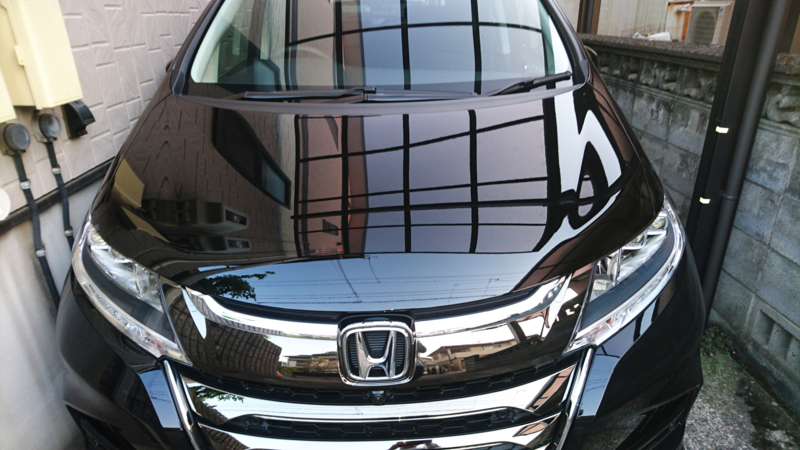 I didn’t wash during this period, but I was very impressed by the gloss and water repellency which still last. 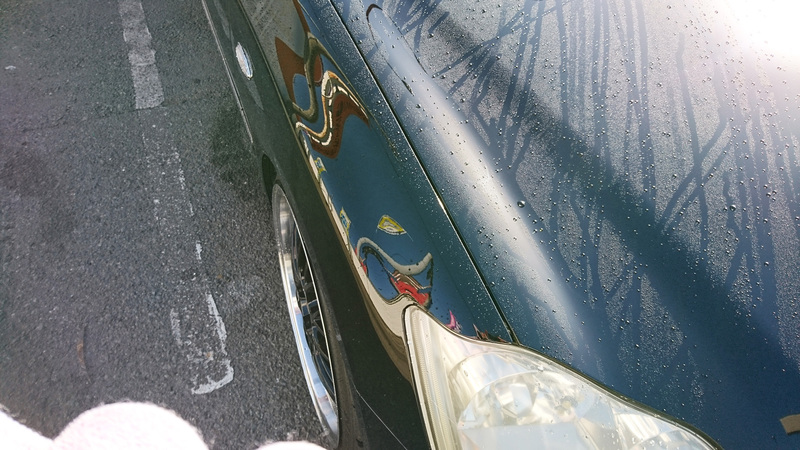 I was very surprised at the amazing results of Pika Pika Rain which was much cheaper than the detailer.